Samanthakamani - A multi-starrer suspense thriller emotion filled romantic comedy with no non-sense chime and appropriate run-time. And yes, an EXPENSIVE member in the cast too who plays the title role to perfection. Laudable story, screenplay and direction. 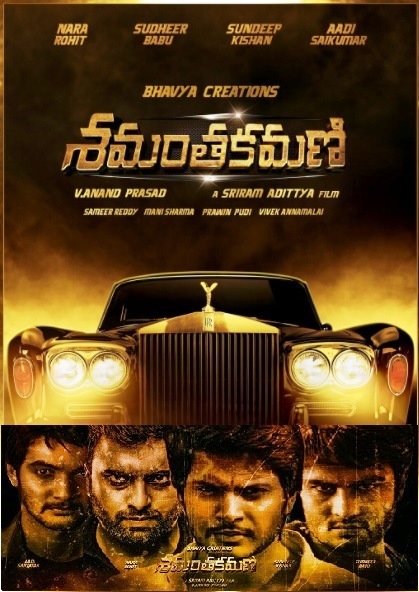 Good for the industry with such a small budget movie making huge impact and profit. This movie fits the bill with loads of skill and laughter to spill in a company to chill. Rohit marks his presence as cop yet again and Rajendra Prasad does his part to a gain. Sundeep needs a bit more to train and Sudheer has to improve in feeling the pain. Aadi links the chain in story and in the cast too getting more expressions to show with better acting and dialog flow. Overall, a good effort with a production value high but production cost low and success glow. Jagga Jasoos (Detective Jagga) - A well made mixture of music, drama, emotion, suspense, romance, comedy and adventure; this detective story is definitely captivating for sure. Even after so much controversies, delays, re-shoots and clashes; it is worth waiting and watching with its cinematography eye-catching. The lead actor leads with commendable performance of applauds, screenplay really good, emotions not overdone and other main characters respectively acted second to none. Kudos to the Director for attempting and executing such a different effort admirably; with a twist in the dark at the end, to embark may be another kind as it is an abrupt wind with two main characters in bind. If there could be a sequel, hopefully it will be well, for current success to revel. Please check out this Jagga's travel. 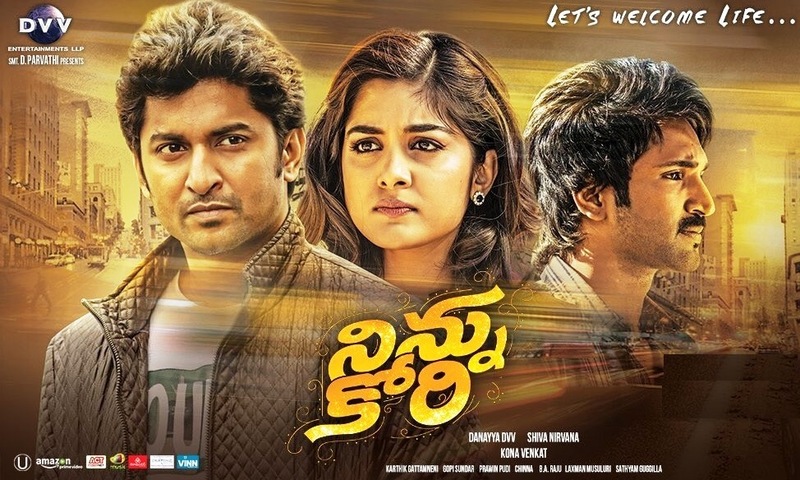 Ninnu Kori (For You) - A rom-com movie inspired from 'Hum Dil De Chuke Sanam' film, with a message at the end; though could have been at the beginning as the movie also depicts a scene on winning over fear to succeed in life; nevertheless succeeds in entertaining the audience with the story. The star of 'Natural Star' is shining so bright that even other stars also bask in that glory. As usual, the lead actor delivers a moving performance naturally, aptly supported by other characters with subtle screenplay and direction. Music is good and songs are adequate. This highlights the point that, loving someone means wishing for their well-being and not for them being with us, as there could be consequences in life which might alter the sequences planned for. 'Love' means being positive and does not need any adjective. That's my perspective. Ami Tumi (You & Me) - A comedy film with AS & AS (Adivi Sesh & Avasarala Srinivas) as lead heroes but the Actual Star (AS) of this movie is Ven-Ki (Vennela Kishore) with his 'Daaaammmnnn...' good expressions, comic timing, excellent acting and screen presence. 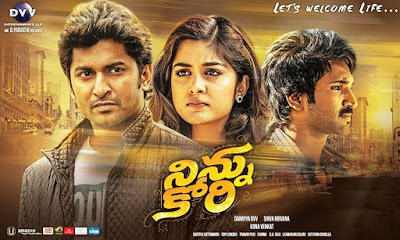 Though the story has similarities to those of 'Dhee' and 'Vinodam' movies, the screenplay and script form the crux of this movie. Aptly supported by Senior TB and Junior TB (Tanikella Bharani & Tanikella Bhargav), the movie starts slow and picks up the pace to glow in the flow. Second half is absolute crazy and cracker, as the hit circus of Kerry Packer. Certainly this small budget effort is a huge money-raker and a whacker on many a bigger box-office bomber. Damn... folks, laughter to chokes.